From Quick Service and Table Service, Restaurants, Bars and Nightclubs, Institutional Service, the hospitality industry faces unparalleled challenges from consumers and competition. Built to adapt to any environment, so you can focus on what matters. Profitek’s hallmark is flexibility, offering a solution, which can be configured and expanded to meet the varying needs of different types of food service. We have learned from our previous experience with many types of establishments over the years that businesses evolve; and what you need today, may not be what you need next year or in five years. It starts inside your operation, making sure orders get to prep quickly and reliably. The Profitek RMW – core module is what directs orders to the kitchen, makes sure you get paid for them, and tells you how you are doing. But, the borders of your establishment no longer start at your front door. The connected world we live in means your customers expect to do business with you from wherever they are and on whatever devices they use. Profitek has designed modules that will help your business thrive in today’s connected world. Look below to see which ones will help you achieve your goal. Integrated payment solutions make it easy, accurate and fast. Tap and Go, Apple Pay, or Pay at Table. The choice is yours. Traditional magnetic cards or cardless app. Customers want the convenience of prepaid. Promote and retain. Straight from your customer’s device to your kitchen. 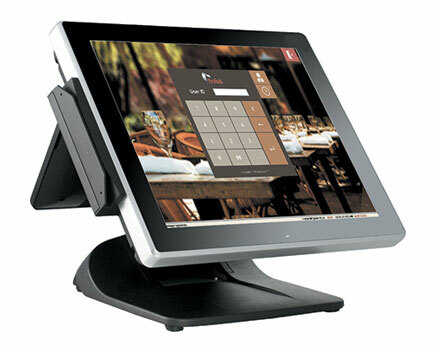 Fully integrated to POS. No errors. No lost orders. Patios, pool service or fast casual. Enter orders quickly and accurately. Keep more dollars in your pocket. Reduce staffing costs and speed up service. Customers can order via web, mobile app or kiosk. Encourage customers to return often and to bring their friends. Loyalty and rewards create repeat customers. Have a chain? Control multiple sites at your fingertips.